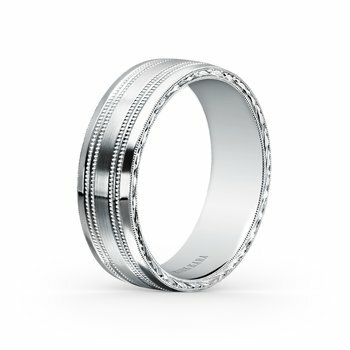 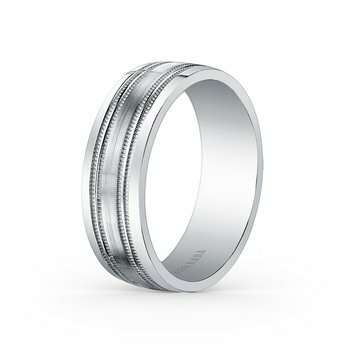 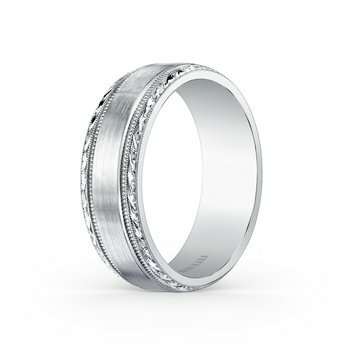 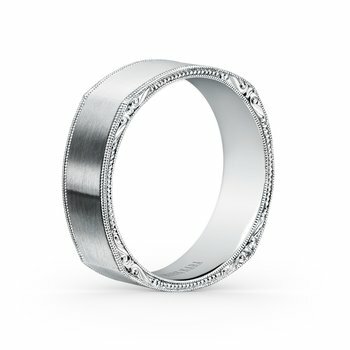 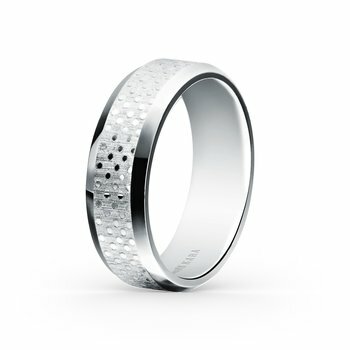 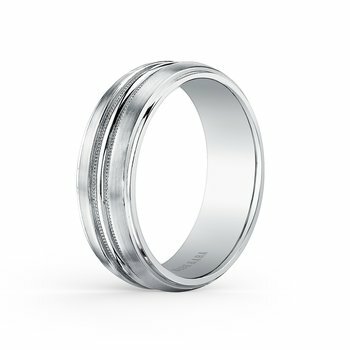 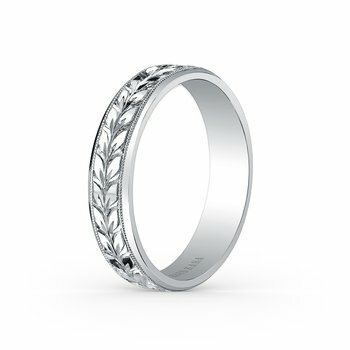 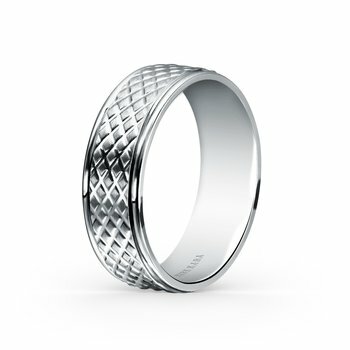 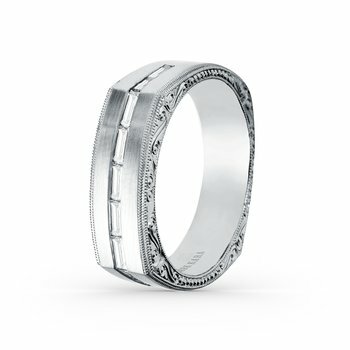 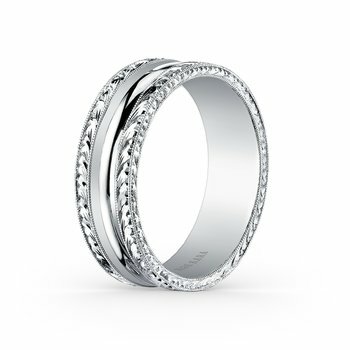 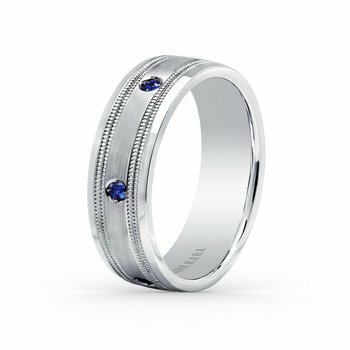 Comfort fit 7 mm gentlemen's wedding band from the Artin collection. 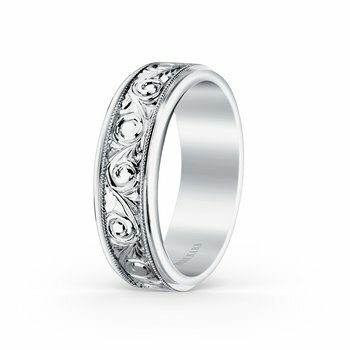 The signature handcrafted details include scroll hand engravings, satin finish and milgrain edging. Also available in multiple widths.